New research from the University of Southampton in the UK has shown that copper can prevent horizontal transmission of genes, which has contributed to the increasing number of antibiotic-resistant infections worldwide. Horizontal gene transfer (HGT) in bacteria is largely responsible for the development of antibiotic-resistance, which has led to an increasing number of difficult-to-treat healthcare-associated infections (HCAIs). The rising incidence of cardiovascular diseases is increasing the focus of healthcare providers, payers and patients on early diagnosis and prevention. At the same time, the cardiac patient monitoring market in Central and Eastern Europe (CEE) is saturating, and the products themselves are becoming commoditised. Agilent Technologies Inc and WiCell, a leader in the cytogenetic testing of mouse and human embryonic stem cells and induced pluripotent stem cells, have announced that WiCell is now offering comparative genomic hybridization plus single nucleotide polymorphism microarray analysis using the Agilent SurePrint G3 Human Genome CGH+SNP Microarray. The Grünenthal Group and Amura Therapeutics LTD (Cambridge, UK) have entered into a Collaboration Agreement. The focus of this collaboration is the development of protease inhibitors which play a key role in pain and inflammation, key focus areas in Grünenthal’s research-focused Strategic Business Unit Grünenthal Innovation. Under the terms of the agreement Grünenthal and Amura will combine their respective expertise to collaborate on the development of cathepsin inhibitors to treat pain and inflammation. Starting from advanced lead compounds generated from Amura, Grünenthal will add its key expertise to the continued development of these small molecule drugs and assume responsibility for further research and development. ICON plc has expanded the biorepository capacity in its Central Laboratory located in Farmingdale, New York. The expansion doubles ICON’s sample storage capacity globally and supports the long term sample storage needs of clinical trials. 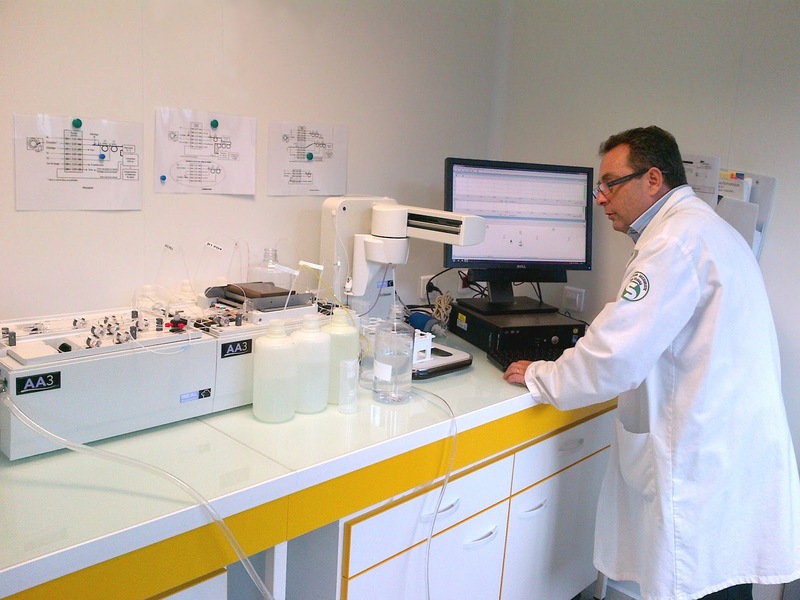 Laboratory instrument manufacturer SEAL analytical has announced the appointment of SERLABO Technologies as exclusive distributor in France for the company’s range of market leading automated discrete and segmented flow analysers. Established in 2005, SERLABO Technologies is the result of a merger between two highly respected companies in the laboratory market: Serlabo SA and UVK-LAB. SERLABO is a specialist provider of laboratory instruments and service support. With an established customer base and a sales and service team operating throughout France, SERLABO aims to help customers by providing a complete solution to their analytical needs.